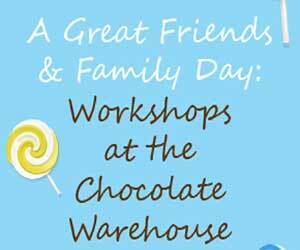 The Chocolate Warehouse is a world of pure imagination where we’re celebrating over 14 years of Chocolate Workshops. 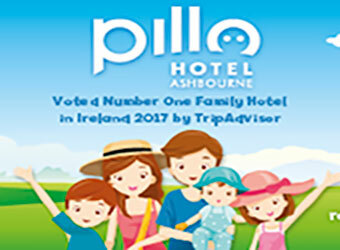 Ireland’s original and best Chocolate Workshops were started in 2001 by Natasha Caffrey Grand Daughter of the late Thomas Caffrey known as The Irish “Willy Wonka”. Caffreys Confectionery’s legendary Snowballs, Tea Cakes Macaroon bars, Big Time bars and lots more are all available at the Chocolate Warehouse shop. 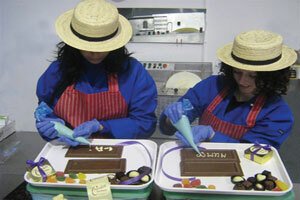 Come and enjoy the magic, mystique and the wonder of chocolate making. The Chocolate Warehouse is a unique venue where visitors can discover the history and joy of chocolate with hands on working experience provided. The subject of Chocolate covers so many topics within the national curriculum from science to history, geography as well as stimulating the senses (especially the taste bud). The two hour event which covers a 25 minute film explains in detail the story of chocolate and how the cocoa beans are grown and harvested. The film shows the journey of the cocoa beans from the Aztecs to the factory and the process the cocoa beans go through to get the chocolate that we recognize today. The visitors are given a chocolate demonstration on how chocolates and Easter eggs are made. They are also shown the different machinery needed to make chocolate and the method of how to use a piping bag filled with chocolate. As always the fun part is the “hands on” session. The visitors put on aprons like a true chocolatier and start the business of coating chocolates, adding toppings and hand piping with white chocolate. All participants get to decorate and package the chocolate to take home. At the end of each event they have a short table quiz. This is great fun! The visitors realize they have learned a lot about the history of chocolate and how it is manufactured. Each visitor receives The Chocolate Warehouse Certificate which gives each visitor a sense of achievement and the enthusiasm for future learning. 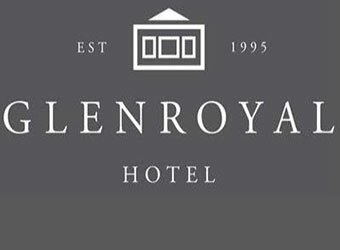 Special offer for July & August 2018 only €10.00 per person for the following dates and times. 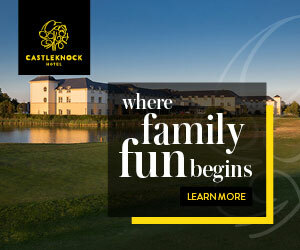 Family Ticket: 2 Adults & 2 children (under 12) €40.00 2 Adults & 3 Children (under 12) €50.00 2 Adults & 4 Children (under 12) €60.00 – This includes all materials supplied, products and gift packing used plus The Chocolate Warehouse Certificate. 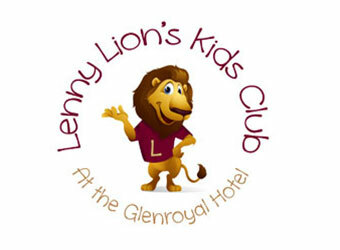 Junior and Secondary schools; They have created specific educational workshops and have adapted each workshop for the appropriate age of the group. Suitable for 1st to 6th year students, business students, home economic students and transition year. The two hour event which covers a 25 minute film explains in detail the story of chocolate and how the cocoa beans are grown and harvested. The film shows the journey of the cocoa beans from the Aztecs to the factory and the process the cocoa beans go through to get the chocolate that we recognize today. The visitors are given a chocolate demonstration on how chocolates and Easter eggs are made. They are also shown the different machinery needed to make chocolate and the method of how to use a piping bag filled with chocolate. As always the fun part is the “hands on” session. The visitors put on aprons like a true chocolatier and start the business of coating chocolates, adding toppings and hand piping with white chocolate. All participants get to decorate and package the chocolate to take home. At the end of each event there is a short table quiz. This is great fun! The visitors realize they have learned a lot about the history of chocolate and how it is manufactured. Each visitor receives The Chocolate Warehouse Certificate which gives each visitor a sense of achievement and the enthusiasm for future learning. Teacher’s admission is free of charge with complementary Tea or Coffee. This includes all materials supplied, products and gift packing used plus The Chocolate Warehouse Certificate. 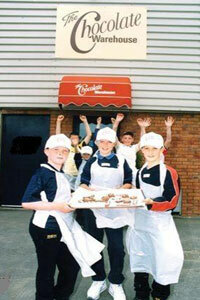 (Children 6yrs and older) The Chocolate Workshop is fully supervised by Chocolate Warehouse staff. 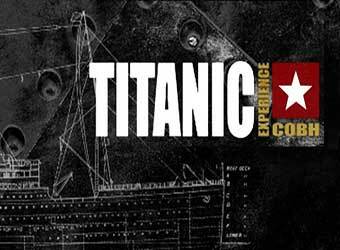 Over 30 students one complimentary ticket. Over 60 students two complimentary tickets. 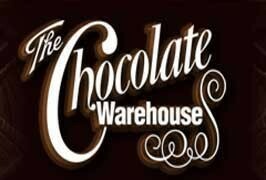 Visit the Easter Bunny at The Chocolate Warehouse for a real Easter Experience. Enter a world of chocolate Easter Eggs and all chocolate novelties and gifts, ideal for your special Easter treat.